Are you ready to boost up the capabilities of your Apple devices? 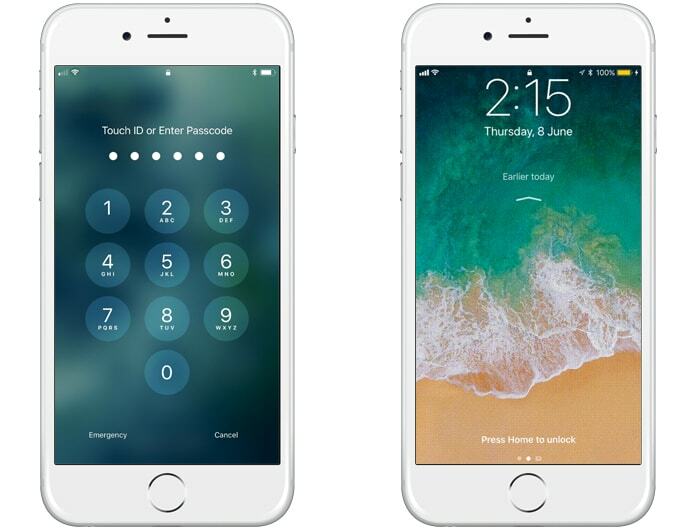 The tech giant promises yet again to deliver with the latest iOS 11. Let’s explore what Apple has in store for us. 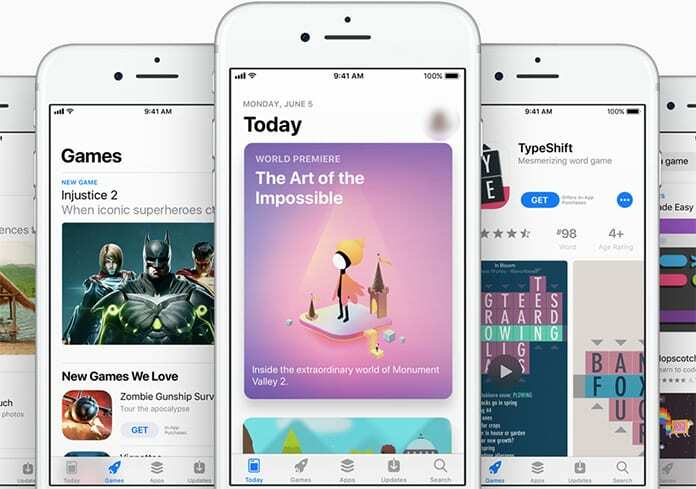 At the 28th WWDC event, Apple offered a sneak-peak at its newest version of iOS. The most powerful operating system in the world is all set to receive a face-lift. Brand new features like a redesigned Control Center, App Store will not only improve appearance but a better user-experience. 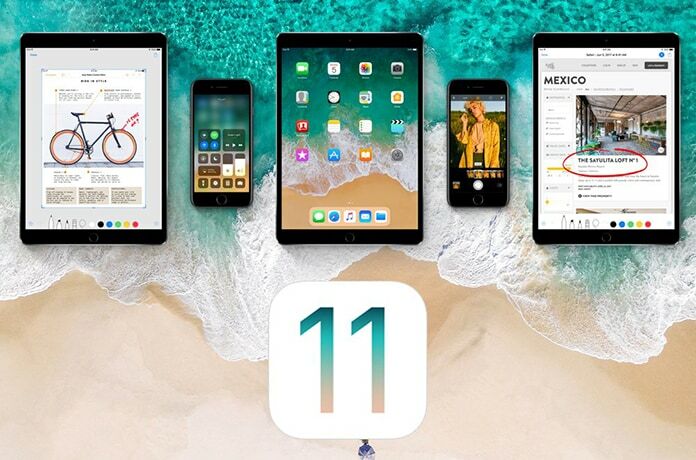 The Beta Version of iOS 11 for developers has already been launched while the public beta to be released later. The final version of the mobile OS will be released in the fall. Well without much further ado let’s explore the fun stuff. Your virtual assistant has been made even more helpful. 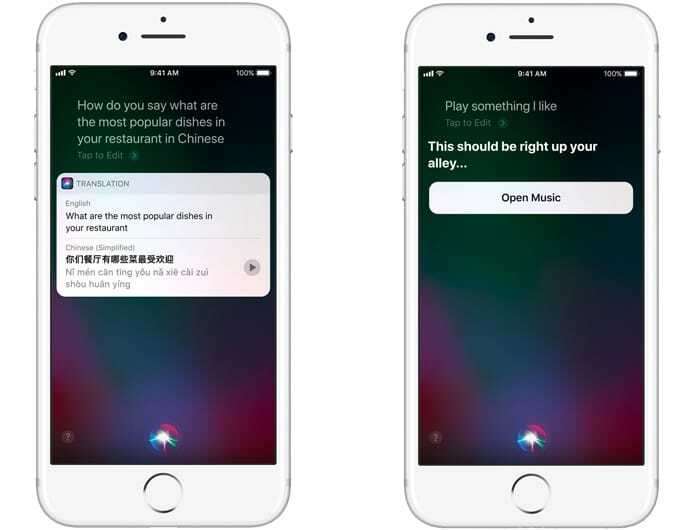 Through Advanced learning, Siri is able to take your visual cues as well. A tap allows you to ask a follow-up question. Your assistant has now learned a few more languages like English, Chinese, French, German, Italian and Spanish. It will now aid your translating needs too. Moreover, as Siri learns more about you, she gives suggestions in News too. Next generation compression technology, i.e. HEVC(High-Efficiency Image Format) video encoding is being used in iOS 11. This technology lets you take photos with the same quality but half the file size. Instead of JPEG photos will be saved in HEIF format. There is an all Depth API for developers too. Advanced learning helps the Photos app to recognize the various events like a wedding or sports etc. Live photos are trimmable now. You can even use part of a video as the key photo. Thanks to the newly redesigned app drawer messaging have become much more enjoyable than ever before. You can now sync your messages too with iCloud which enable you to have your conversations on all your devices. 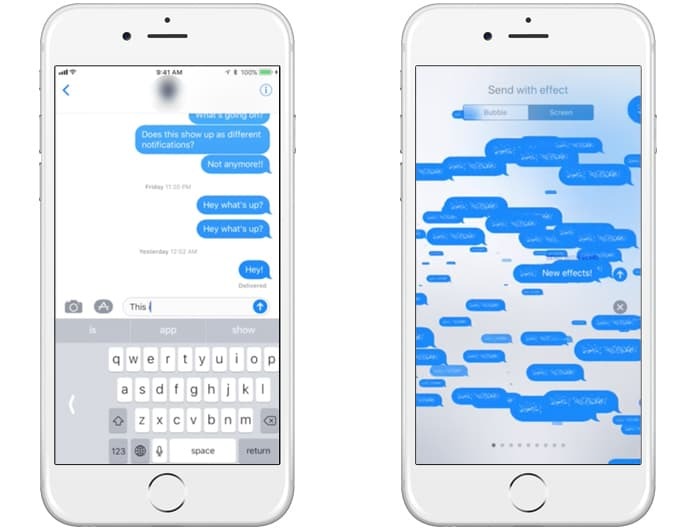 However, if you delete your messages on one device it automatically deletes from all. The redesigned Control Center has a totally changed look and has become much bigger. You can customize it by adding widgets of your choice. The 3D Touch helps you get more out of it. Lock screen and Notification Center have been merged so that now recent and missed notifications are now all in one place. 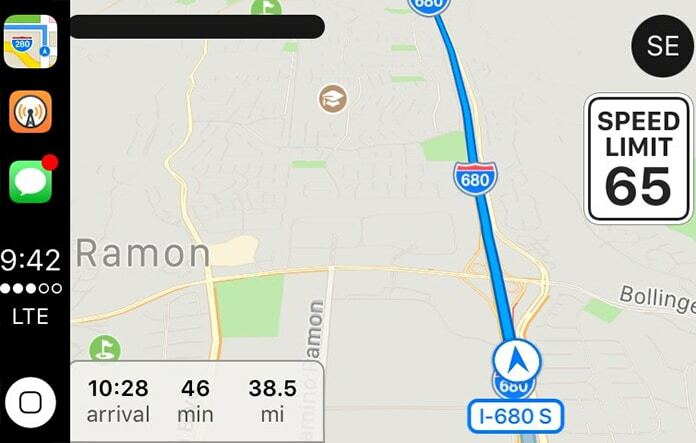 The Maps app was now never as helpful a guide as now. 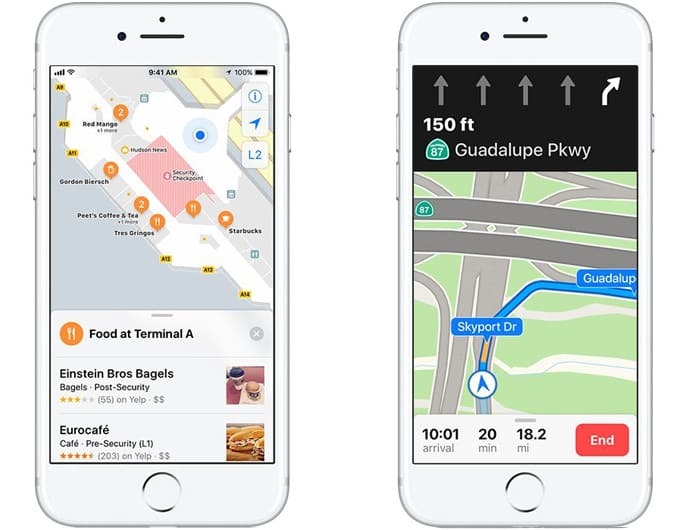 Lane guidance and the detailed Indoor maps for hundreds of major airports and shopping centers around the world are available to help you move around with more confidence. The CarPlay is not as the name suggests. In fact, it is the opposite and the “Do Not Disturb While Driving” feature helps us drive much safer. All calls, text messages and notifications are silenced and not displayed so you are not distracted while driving. However, you can choose people who will be able to message you even when this feature this enabled. 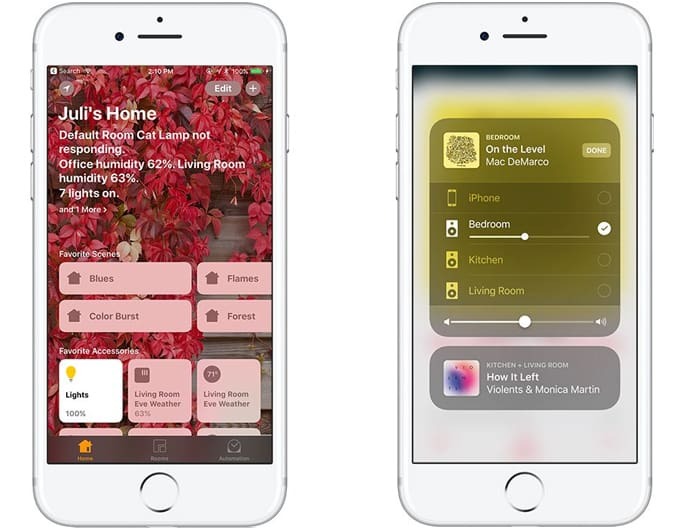 HomeKit now has Speakers and AirPlay 2 to help your control your home audio system. Multi-room audio is possible now with the new iOS. “Shared up next” is the latest feature in Apple Music that lets you play music to a party playlist. Moreover, you can now share your playlist with your friends with everyone having their own profile. You have the option to keep your playlist private as well. 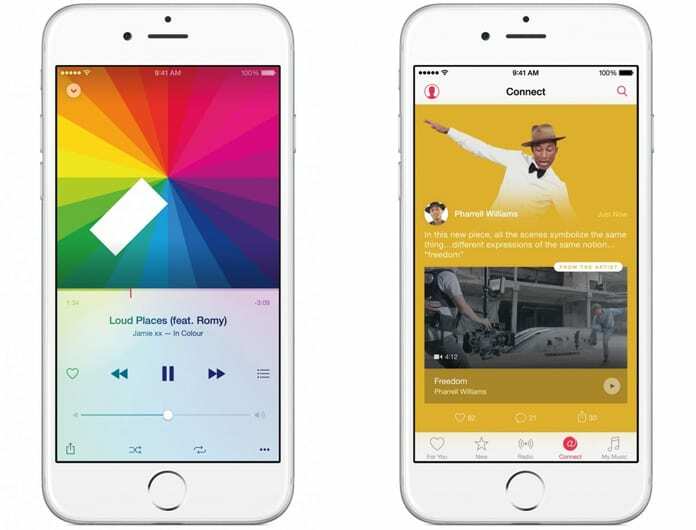 Third party apps like Nike, Anchor, and Shazam can now interact with Apple Music. App Store offers much quicker app reviews. Auto-renewals through Apple Pay will add convenience. “Today” helps you stay organized and it lets you decide much quicker which apps you want to check out. There is a new tab for all the game lovers out there. Navigation to the in-app purchases is much easier too. The most powerful machine is now going to give you an unrivaled experience with the introduction of ARKit. This new framework allows developers to make use of Core ML Learning. The ARKit will help your apps to interact with the real world. For example motion tracking, find planes, estimate ambient light, estimate proper scale for objects etc. 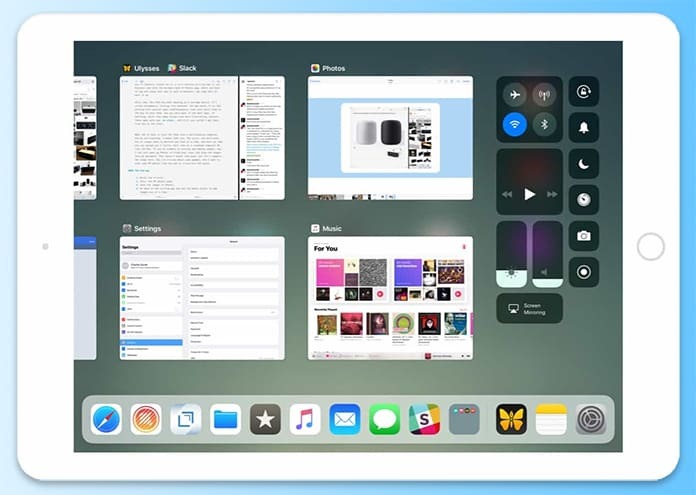 iPad will now have a Dock filled with apps. This way you would have maximum ease of use as it can be accessed from anywhere. Apps used together will have the option to be paired. This saves time and hence improve productivity. The Drag and Drop feature makes things even simpler. All you would need to do its drag any file and drop it in the required folder. So simple! This brand new app is not going to disappoint either with features like Nested Folder, Spring Loading and more. 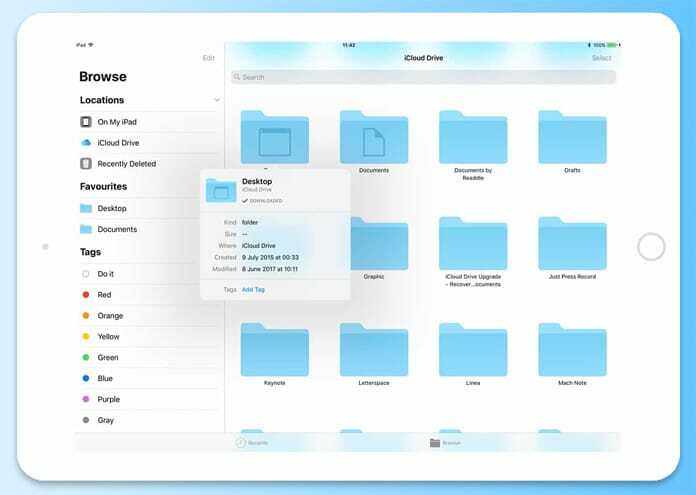 You will be able to sync your files with not only iCloud but Dropbox and OneDrive etc too. You can easily drag and drop files even if you are in a full-screen app. 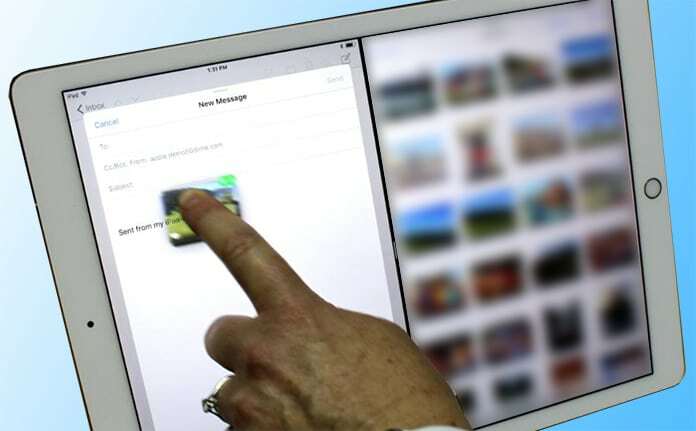 You will be able to select multiple images just by swiping over them. Files can be organized as required either by size or date. Your favorites will be synced with all your devices to avoid confusion. Apple Pay can now be used to send money to friends and receive it through their latest feature of Person to Person (P to P). 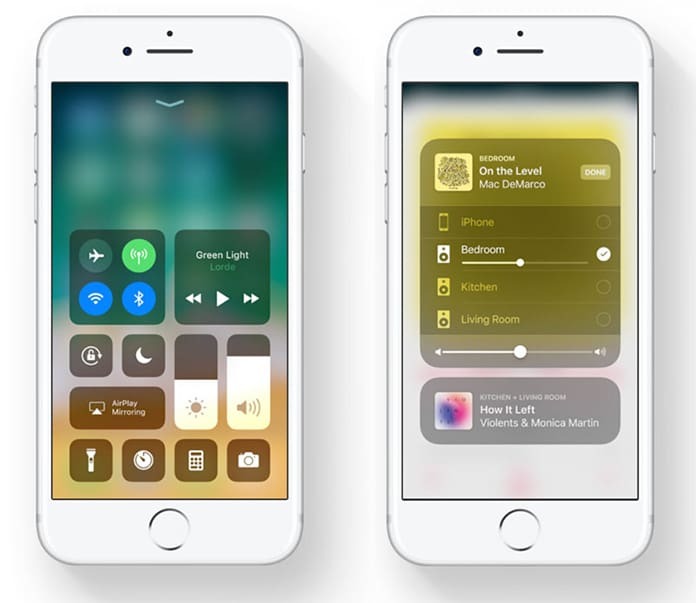 So do you think Apple will live up to its reputation with the latest iOS 11? Do let us know what you think of these latest features and which one you found would help you the most. iOS is the gold standard of operating systems and the latest version of iOS is all set to shake your world. Your mobile and tablet experiences are going to be much more immersive. The fresh new look of the Control Center, Lock Screen, and Notification Center will definitely add to your experience. The Files app and Drag and Drop feature for iPad makes it so much easier to use. The improved speed will also no doubt set new standards. Next articleApp May Slow Down Your iPhone – What Does This Means?